Yes, it is only October, but we all know that winter will be here before we know it. Suddenly we’ll blink our eyes and snow will appear along with twinkling Christmas lights. In preparation for the chilly season, let’s do some fashion planning. Nothing reminds me of sitting in front of a festive fireplace quite like the classic turtleneck. This winter staple is a must-have in every college girl’s closet. 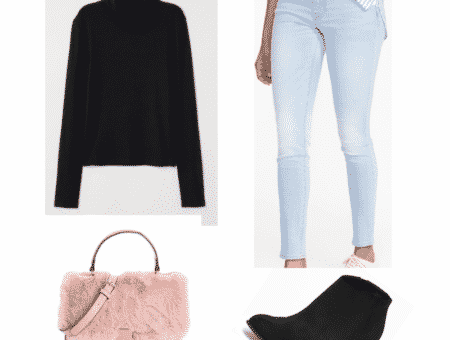 Below, I’ll show you how to make a turtleneck casual and dressy, styling it for class and a night out. If your weather is like mine, your morning strolls to class are getting increasingly chillier. No one wants to lug around a jacket if it is not absolutely necessary, so the solution to this problem is the turtleneck. A classic turtleneck gives you just enough warmth without making you feel as though you’re in a sauna as you sit through a lecture. In case this still doesn’t feel like enough layers, the shaggy faux fur vest adds another element of style. 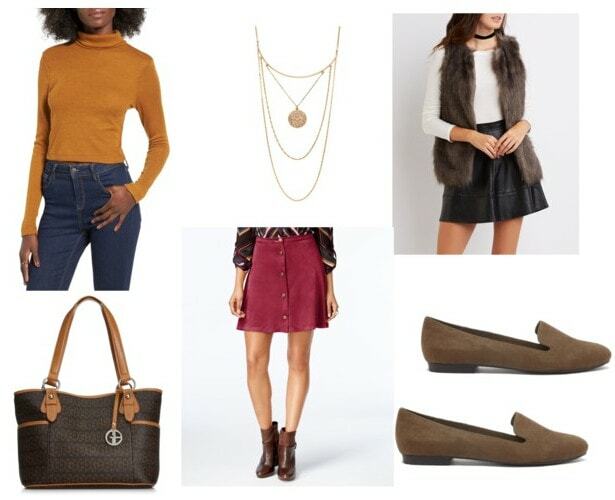 Paired with a faux suede skirt and loafers, this look screams fall on campus. Who says turtlenecks have to be casual? To spruce up this simple piece, these faux leather leggings add an edgy vibe. Similar to the class outfit, a faux fur shaggy vest gives you the warmth you need without sacrificing your personal style. (For night, I chose a cool red one!) Pair the look with lace-up heels and statement jewelry and the night is yours. Do you think the turtleneck should stick to tradition or can it be vamped up for night? Let me know in the comments!